I was so excited when Opalescence Go sent me one of their teeth whitening kits. I mean, I love coffee. But I’m not a fan of the yellow-tinge on my teeth, after a few cups of java. Coffee, and other highly acidic foods and drinks, are the main culprits behind the discoloration of teeth. If you love sweets, fizzy drinks, red and white wine and citrus, this may not be good news for you. But, fear not! I come with glad tidings of great joy! Opalescence Go promises to restore your smile back to it’s former glory, one pre-filled whitening tray at a time! Opalescence Go is a simple, quick way to start a whitening treatment. This ‘wake up and go’ kit requires no impressions or custom trays. I mean, besides for checking with your dentist if your gums are healthy enough to withstand a teeth whitening treatment, you literally can get those pearly whites, well, pearly white again, in the comfort of your own home. The Opalescence Go kit contains ready to go disposable trays that you can use right out of the package. The disposable trays are loaded with the Opalesence tooth whitening gel which contains potassium nitrate and fluoride. These ingredients help to reduce cavities, minimize sensitivity and increases the enamel hardness of your teeth. So once you’ve found the Opalescence Go product that best suites your needs and budget, you simply apply the tray to your teeth (it adapts and is flexible) and gently bite down to help bond the gel overlay to your teeth. Once you’re happy with the fit, remove the tray, and you’re left with a snug cover on your teeth. I found it comfortable and I could actually still have a conversation while wearing it. The kit I received required me to wear the tray for 60 minutes, for about 5 – 10 days, before I would see results. Opalescence actually has a bunch of different kits to suite your lifestyle and needs. They also come in a variety of flavors – peach, melon and mint. The kits are available in 10% and 15% hydrogen peroxide concentrations. I did notice a definite change in my teeth’s appearance. In fact, my teeth felt cleaner after the first application… I mean, if it’s possible for your teeth to feel clean. 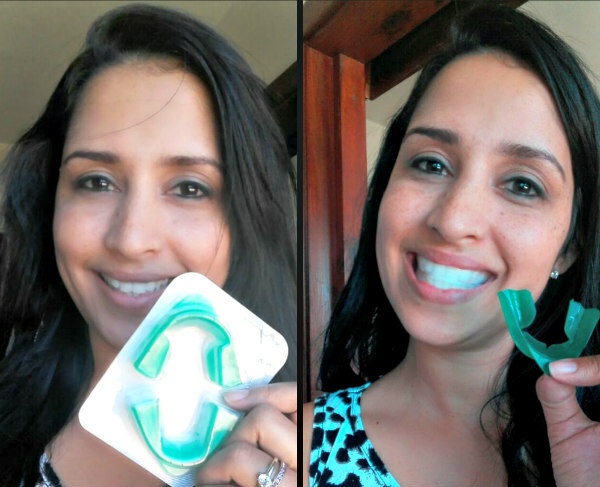 I used the Opalescence whitening toothpaste afterwards to maintain and prolong my newly found bright, healthy smile. Disclaimer: This post was sponsored by Opalescence South Africa.